We’ve already gushed about Boll & Branch bedding for grown-ups, and we’re equally obsessed with their new collection for little ones. Made from the same soft 100% organic cotton, this Fair Trade certified line cuts out the middleman and big retail markups so your baby can also snooze in safe, stylish crib sheets at a great price. Whether you go for solid colors, the pencil sketched bunny, watercolor seedling, or trellis pattern, these sweet sheets set the tone for a charming nursery. We also adore their two cozy blankets (cable knit or origami pattern throw), which are perfect for draping over the glider or snuggling your babe. (BTW: The beautiful box they’re packaged in will get serious “ooohs and aaahs” at baby showers). Thanks to Boll & Branch, even when your tot is crying, the nursery will always exude a much-needed “serenity now” vibe. 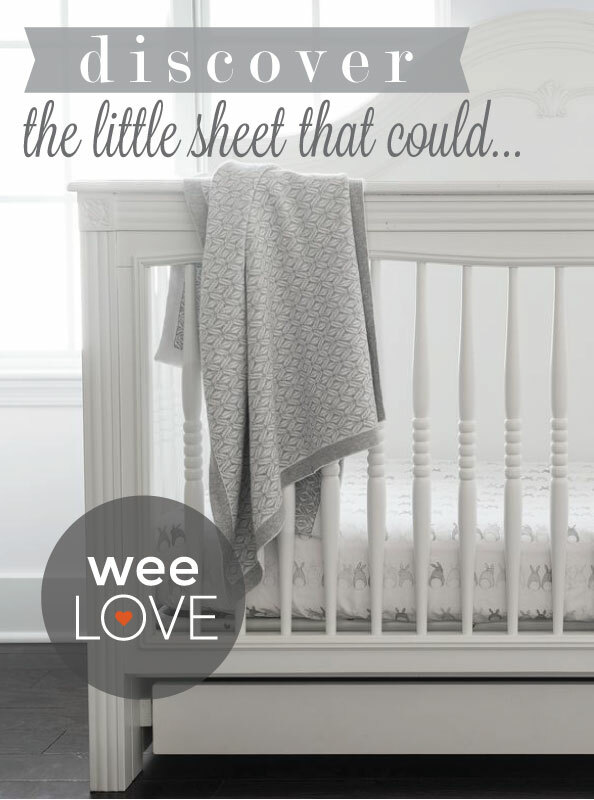 I love this baby sheets listed in weeLove, all are adorable. BOLL & BRANCH, it has really exciting nursery items in its portfolio. They are manufacturing these stuff using the organic materials.